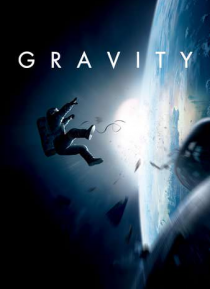 Sandra Bullock and George Clooney star in this heart-pounding thriller from Alfonso Cuarón and set in the infinite and unforgiving realm of deep space. Bullock plays a brilliant medical engineer on her first shuttle mission, with Clooney as a veteran astronaut in command of his last flight before retiring. But on a seemingly routine spacewalk, disaster strikes. The shuttle is destroyed, leaving t… he two completely alone -- tethered to nothing but each other and spiraling out into the blackness.